Just in time for your new years resolutions to get fit and feel healthy, we have launched our newest site for a company that does just that. BeFit Nutrition Works is a company dedicated to helping people eat right and learn to live a healthy lifestyle and maintain results. 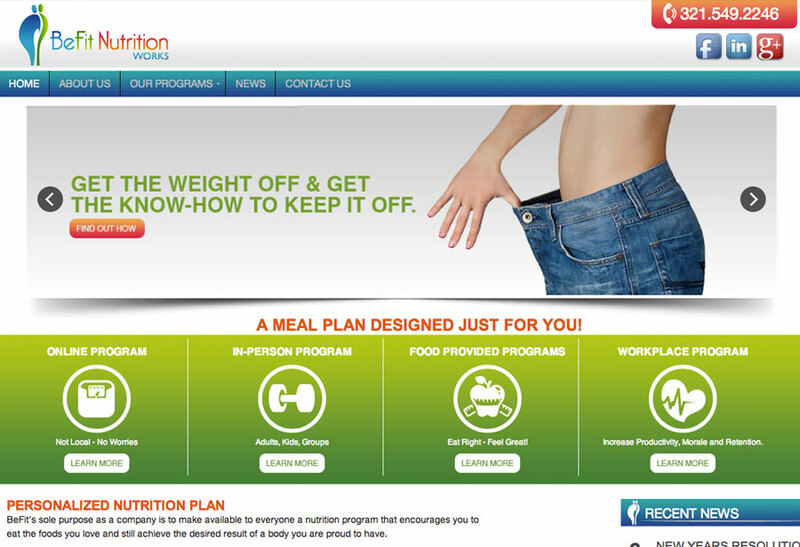 To view the Befit Nutrition site in it’s entirety click here and to view more of Visual Realm’s recent work and web sites in progress please visit our portfolio here. Visual Realm has also designed the Befit Logo, Business Cards, Pocket Folders and other marketing materials and Trade-show display.